For me, these are some of the most haunting words of the whole Bible: "Then [after Jesus' arrest in the Garden of Gethsemane,] everyone deserted him and fled" (Mark 14:50). After sharing the Last Supper with his closest disciples, after warning them about their falling away, after the words of his own impending death, after his prayer for their unity, and after taking them to the Garden of Gethsemane to pray with him, "Then everyone deserted him and fled." As awful as all of this may sound, the reality was even worse. Judas betrayed him. Peter denied him three times after promising to be faithful to the death. Peter even claimed that he would be faithful even if the other disciples were not. The rest of his' closest disciples, as Jesus had warned, were not faithful. Mark's sad words echo their indictment through time: "Then everyone deserted him and fled." Think of it: Jesus who had given his all, blessed so many, healed the sick, gave sight to the blind, cast out demons, cleansed those with leprosy, and protected the vulnerable, was left all alone to suffer and die. They all "deserted him and fled"! Everyone... all... each disciple... except for one small group that was faithful to Jesus through it all! Luke is the gospel of inclusion. He made sure those on the fringes — the forgotten, abandoned, and marginalized — were included in the ministry of Jesus. In fact, Luke not only included them, but he also made them vitally important in telling the story of Jesus. So, we should not be surprised when Luke made clear what the other writers will only hint. "Then everyone deserted him and fled." After this, Jesus traveled about from one town and village to another, proclaiming the good news of the kingdom of God. The Twelve were with him, and also some women who had been cured of evil spirits and diseases: Mary (called Magdalene) from whom seven demons had come out; Joanna the wife of Chuza, the manager of Herod's household; Susanna; and many others. These women were helping to support them out of their own means (Luke 8:1-3). We hear about these women briefly in the Matthew and Mark accounts of the resurrection (Matthew 28:5-11; Mark 16:8). For Luke, however, their presence dotted the landscape of Jesus' crucifixion, burial, resurrection, appearance, and Pentecost stories. While Jesus' men, his closest male disciples, were hiding for fear (John 20:19), "the women" followed Joseph of Arimathea and witnessed Jesus' burial (Luke 23:55). After Jesus' crucifixion, they made preparations and bought spices to anoint his body. Then, they went together to the tomb on that glorious Sunday with spices to honor Jesus' body (Luke 23:56; Luke 24:1). They were the ones who found the tomb empty and met two angels. They were the first to be told about Jesus' resurrection from the dead (Luke 24:2-7, 22). They were the first to report Jesus' resurrection to the apostles, sharing what they had seen and heard, only to have their report rudely dismissed as nothing more than "nonsense" (Luke 24:8-12) by everyone — well, everyone, but the apostle Peter and the beloved disciple. Later, however, the apostles and the disciples from Emmaus validated the women's testimony (Luke 24:24, 33-34). After Jesus' resurrection and ascension, Luke also reminds us that the "the women" were present and joined in prayer before the coming of the Spirit at Pentecost (Acts 1:14). Through the Passion, resurrection, and ascension of Jesus, the male disciples' faith wavered. Their fear governed most of their responses. Through these same events, however, "the women" from Galilee were faithful, involved, loving, and focused. Not only had they cared for Jesus financially during his ministry, but they were also willing to be identified with him in his death. They were willing to risk everything, including their lives to serve their Lord, even in his death. 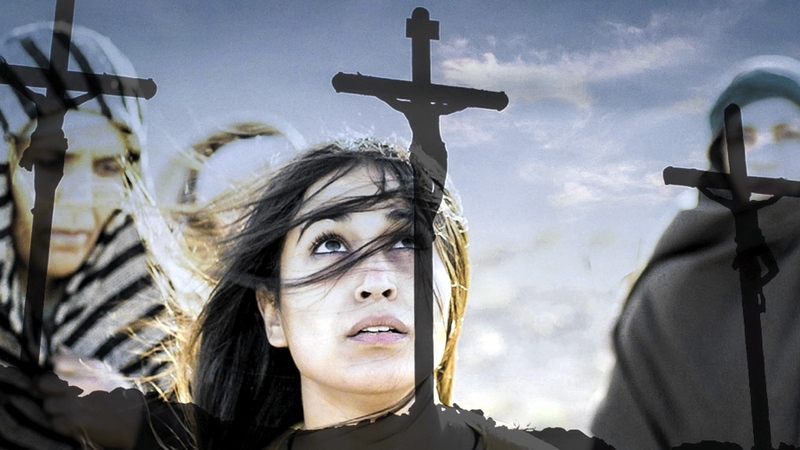 This part of the story ends with a group of women doggedly staying true to Jesus through the horrors of the crucifixion, the hard realities of his burial, and being the first to announce his resurrection from the grave. We shouldn't be surprised that even before she knew of Jesus' resurrection, Mary held onto Jesus' identity as her Lord (John 20:2, 13). No wonder she was excited to proclaim his resurrection to anyone who would listen! "No, this is what was spoken by the prophet Joel:"
We should not be surprised by a group of women being ruggedly determined to follow Jesus no matter what happened. Mary Magdalene had been delivered from demons. Jesus was known to defend and bless a repentant woman "sinner of the city" who anointed his feet at a dinner in an important religious man's house (Luke 7:36-50). Jesus cared for widows (John 7:11-16). Some of "the women" who followed him were influential. Some had experienced Jesus' transformational grace through healing and exorcism. All were committed enough to support his ministry financially. They would not give up on Jesus even when all seemed lost. They were there for the exciting news that Jesus had risen from the dead, shared with them by angels. They helped set the table of grace for the coming of the Holy Spirit with prayer as the disciples waited for God's exciting new beginning for humanity at Pentecost. Let her deeds publicly declare her praise (Proverbs 31:30-31 NLT). In a world where women were not considered significant, Jesus' story was different. "The Women" by Phil Ware is licensed under a Creative Commons License. Heartlight encourages you to share this material with others in church bulletins, personal emails, and other non-commercial uses. Please see our Usage Guidelines for more information.